The Centre will get some leeway from the revised numbers on the size of the economy to meet its fiscal deficit target for the current financial year. The government has already surpassed the fiscal deficit target by 21 per cent given in the Budget for 2018-19, even as there are two more months for the financial year to end. This is so because the country’s economy at current prices is now projected to grow at Rs 190.53 trillion in FY’19, up by Rs 2.13 trillion compared to Rs 188.40 trillion pegged by the first advance estimates. The new number was given in the second advance estimates released by the Central Statistics Office (CSO) recently. This means that if the government is able to rein in its fiscal deficit at the absolute number of Rs 6.34 trillion, the deficit will come down to 3.32 per cent of GDP against 3.36 per cent given in the Budget. It would also be lower than 3.34 per cent, pegged at the Budget Estimates for 2018-19. On the other hand, if the government retains its target at checking fiscal deficit at 3.36 per cent of GDP, it can take the deficit to Rs 6.40 trillion, a leeway of Rs 6,000 crore. However, it would prove to be only a small relief. This is because the fiscal deficit has already touched Rs 7.71 trillion by January. It means that the next two months have to produce fiscal surplus of Rs 1.31 trillion even if new numbers are taken into account. The interim Budget rounded off the figures to peg fiscal deficit at 3.4 per cent of GDP compared to 3.3 per cent given in the Budget Estimates for the current financial year. 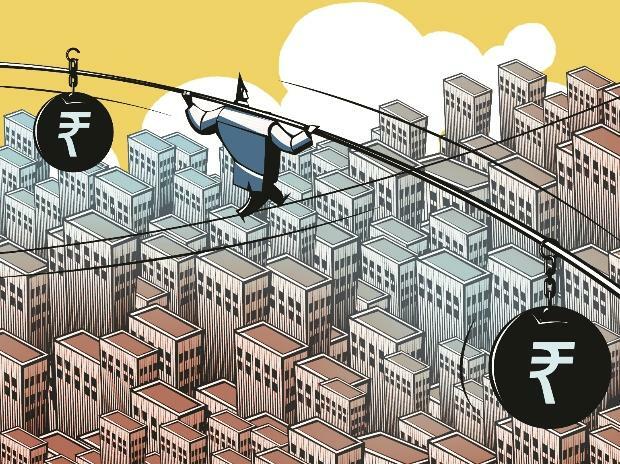 Economists are hopeful that the government will be able to rein in fiscal deficit at the revised targeted level. “This (new GDP numbers) will help the government achieve fiscal deficit target even though the fiscal deficit till January, 2019 is 121.5 per cent of FY’19 (revised) target,” said Devendra Pant, chief economist at India Ratings. The second advance GDP numbers will also help the government meet the fiscal deficit target for next year. The government has set the deficit at 3.4 per cent of GDP for FY’20. The economy, in current prices, is projected to grow by 11.5 per cent next year. On the base of the old GDP figures, that would mean Rs 210.1 trillion in FY’20, the figure given in the interim Budget. However, if the same growth is computed on new GDP at current prices for 2018-19, the figure would be Rs 212.4 trillion for FY’20. This is higher by Rs 2.4 trillion compared to the old number for FY’20. However, Pant expressed doubt on the possibility of the economy growing 11.5 per cent in FY’20. “With real GDP growth (adjusted for inflation) and inflation being low, achieving 11.5 per cent nominal growth will be difficult,” he said.